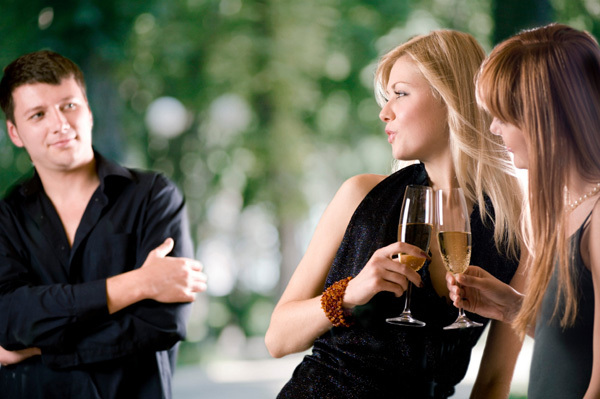 There are a few things you can do to keep a woman interested beyond meeting her. Of course, each woman is her own world, and her interests will vary based on her age, cultural background and personality traits; however, there are a few general rules to follow for human beings in general. 1. Be interesting – This one sounds redundant, but it’s the most important one to master. Ask yourself, “Would I be interested in me, myself?” And if you have to think about it, the answer is no. Being interesting means consistently maintaining yourself going above and beyond average, on everything you do. This means that you are great at whatever it is that you do! And if you’re not sure what you’re good at, then pick something to be good at. Learn to throw a Frisbee, learn how to salsa dance by watching Youtube videos, or simply pick up painting or drawing. Just pick something and work on mastering it. Women will find quite interesting your ambition to be successful at something. 2. Expand your vocabulary – Learn a few new words each and everyday. Learn their meaning, pronunciation, etc. Learn how to carry a conversation using unusual words. Women will find interesting that you are so well versed. 3. Be unpredictable – Don’t let her know your next move all the time. Focus on what you need to do, and share only the bare minimum information. If she directly asks, be vague in your responses and keep your options open to change your mind about whatever plans you may have. This makes women wonder what your next move is, and this is very interesting. Now, they won’t like being unable to predict your moves, but it’s a sure way to keep them looking at your every move and anxiously anticipating and waiting for some type of certainty. 4. Do the unexpected, be spontaneous – This one goes hand in hand with being unpredictable. In this one you just want to say and do things she doesn’t expect. Tell her you’ll take her somewhere, but then take her somewhere else, without telling her. This will really throw her for a loop. Or say something absurd, or something that doesn’t make sense, and then let her try to figure it out. Her mind won’t be able to stop spinning. Especially if you say or text her something like “I can’t stop”. Then don’t respond to all the following questions she’s sure to ask you. It sounds crazy, but to a woman it will be interesting. Women love “figuring out” things, so give them something to figure out. 5. Ignore her – Sounds counter-productive, but it’s interesting to a woman. Especially if you hit them with a streak of massive attention, then you retreat somewhere where you can’t be found. No phone calls answered, no responses to text, nothing! Just disappear completely. She’s sure to try to dig up what’s going on, but you should never address why there was a gap in communication. Nothing drives a woman crazier than being ignored, and they don’t like it at all, and that’s the whole point! You’re bringing up a certain type of emotion that will maintain her interest. Don’t be afraid, she’s not going to lose interest in you by ignoring her, and if she does, she never had it from the start. Wow… Wow….!! Ha.. Ha.. Ha… You Right..!!! Ha.. Ha… Ha.. Very, Very Interesting….! !